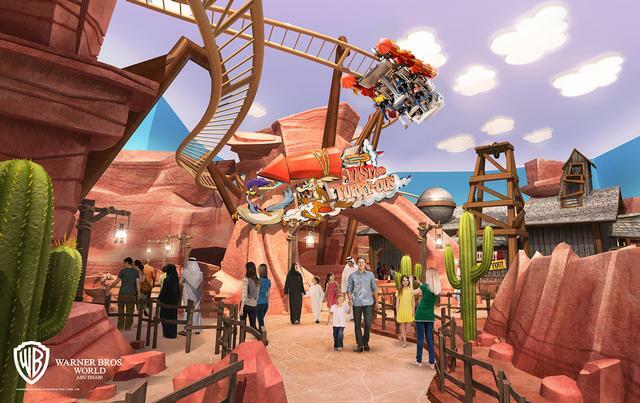 Fast and Furry-ous is an excellent roller coaster in Dynamite Gulch and one of the best attractions at Warner Bros. World Abu Dhabi. The minimum height to ride is 43 inches. Climb onto Wile E. Coyote’s latest gadget - the ACME Road Rocket 9000 - for yet another pursuit to catch the Roadrunner on this family inverted coaster.